I often forget about things I have bought or collected and put away. My attic is a treasure trove of hidden bits and bobs. And so when I get the urge to create something all I have to do is have a little fossick. 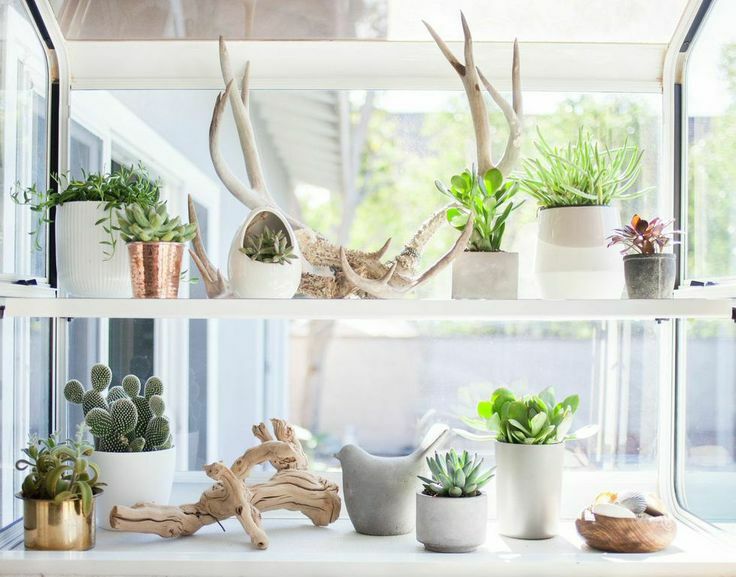 This ‘back to nature’ themed vignette calls on a load of textural elements, simple succulents in various pots; twisty antlers and driftwood; a wee wooden bowl of shells and a little cement bird. So simple yet so perfect; this collection of treasures inspires thoughts of holidays, of summer of change and life.